EEG records the activity and strength of the brain’s electrical signals. In Part 1 of this series on the adoption of scientific techniques by user experience, I described how those who have incorporated such techniques into user research have sometimes let them down. For many, the introduction of a new technique is a means of profiteering, so there is little communication of why one should use a technique or how to apply it. 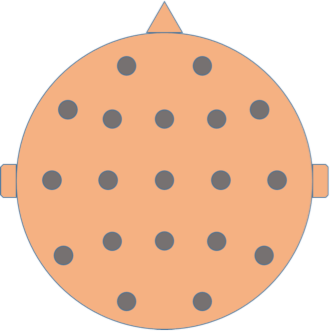 Now, in Part 2, I am going to review EEG (Electroencephalography), explain what it is, describe how it works, and evaluate whether it might have a place in user experience. As the human brain functions, it continuously sends out electrical signals. Depending on what a person does or thinks, different parts of the brain fire more intensely. An EEG machine is a measuring tool. Through electrodes that a researcher has placed in various locations on a person’s scalp, EEG records the activity and strength of the brain’s electrical signals between various points on the head. Figure 1 shows an overhead view of the positions where a researcher would normally place electrodes on a person’s head. As you can see, the electrodes’ coverage is fairly broad. The researcher spreads electrodes and conductive gel all over the subject’s scalp to enable the EEG to read the electrical signals over as much of the brain as possible. The EEG can record fluctuations in the activation of the brain’s signals over a period of time. Figure 2 shows a readout of the raw data from an EEG machine. Each line represents the activity between two points on the scalp. One scenario for EEG use could be testing human performance in face recognition. A clinician might show a patient a face and, based on the strength of the brain signals the patient exhibits, establish whether the area of the brain that is responsible for processing faces is faulty. The stronger, or more polarized, a line appears in the EEG readout, the more powerful the person’s ability to process a stimulus. The stronger, or more polarized, a line appears in the EEG readout, the more powerful the person’s ability to process a stimulus. For example, when a person is processing an object, we might see a line representing one part of the brain drop down in the EEG readout. But when that person is shown a face, the line polarizes even further, showing that humans specialize in processing other people’s faces. These tests have their foundation in previous research that established the area of the brain that is associated with processing faces. To determine whether a part of the brain is responsible for processing something, it is necessary to conduct tests repeatedly with various participants to ensure that the changes in polarization are not coincidental, but recognition of an established effect. A headset that is designed to perform these sorts of tests could use up to 72 electrodes, allowing very broad coverage of the scalp. However, while these headsets are quite powerful, they aren’t the most portable of technologies. Some companies have adapted EEG by removing electrodes and adding a built-in power supply, making an EEG a transportable and even wearable device. But the major trade-off for this flexibility is in sensitivity and adaptability. Manufacturers have refined EEG technology and made it more lightweight and flexible to appeal to the commercial market. Some companies have adapted EEG by removing electrodes and adding a built-in power supply, making an EEG a transportable and even wearable device. But the major trade-off for this flexibility is in sensitivity and adaptability. While a portable EEG doesn’t provide the range of measurement of a lab EEG, it is designed for very specific tasks. The most well-known application operates through the motor function—for example, moving an object like a wheelchair or a skateboard. The Gadget Show recently demonstrated a skateboard controlled by using an EEG. Having placed electrodes on the areas of a person’s brain that are associated with movement, thinking about moving in a certain direction creates electrical signals that the headset picks up, and moves the person in the desired direction! This is one of the most concrete methods of implementing the use of EEG. However, other implementations of the technology outside the lab have often been of dubious value. An ever-increasing number of studies have tried to establish whether an EEG is capable of measuring someone’s emotional engagement. While you might expect an EEG to be able to find the area of the brain that is responsible for emotion and engagement and, thus, help show emotional engagement—that is, Reading = Activation—you’d be wrong. A journal articlePDF reviewed 70 different studies that attempted to learn whether it is possible to definitively measure emotion and engagement using EEG. Guess what? You can’t. Not as successfully as you can with fMRI anyway. EEG is not powerful enough to measure emotion and engagement reliably, even when using a full EEG cap. Reading emotion and engagement becomes even more of a gray area when using a commercial headset that measures brain activity using a limited number of electrodes. EEG is better at registering the intensity of brain signals and emotions rather than recognizing specific emotions. However, the fundamental issue here is not with the technology. It is in the way in which we pin down exactly what emotional engagement is. For example, is it possible for a person to become engaged with something, but at the same time find it repulsive? Some emotions are much easier to recognize than others. Easy-to-measure emotions are normally polarized to either extreme—positive or negative—such as happiness or disgust. Nevertheless, EEG is not strong enough to definitively attribute an emotion to a specific brain area. EEG is better at registering the intensity of brain signals and emotions rather than recognizing specific emotions. Because of the complex nature of emotions, scientists have tried using EEG to categorize forms of engagement by tracking the parts of the brain that people employ for the activation and inhibition of emotions. This has helped them to recognize whether someone is engaging with something. In the previously mentioned review of EEG studies, there was conflicting evidence across studies, meaning that they could not establish whether it is possible to definitively measure engagement with EEG. Some people showed engagement where others showed activation. When testing a Web site’s usability, the chances of creating feelings of disgust or intense pleasure are low. So the ability to measure definite emotional engagement is even more limited. The parts of the brain that are responsible for emotions and activation or avoidance are situated in different areas of the brain. Because we cannot distinguish the nature of the emotions a person is experiencing with an EEG, but only the strength of the emotions, it’s difficult to interpret EEG data. A person could, in theory, feel very angry toward something, but want to engage with it—perhaps to hit it. A negative emotion does not necessarily mean avoidance. Therefore, a person can engage with something, but not really feel positively toward it. When testing a Web site’s usability, the chances of creating feelings of disgust or intense pleasure are low. So the ability to measure definite emotional engagement is even more limited. The real question is: can a Web site convincingly evoke that much of an emotional reaction? Could it be consistent? And if it could, wouldn’t that emotional reaction be obvious? In all likelihood, that emotion would be plastered all over the participant’s face—or better yet, would come out through discourse under the direction of the test session’s facilitator. What, therefore, would be the added value of EEG in user research? 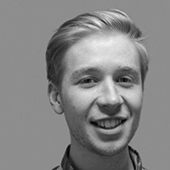 What Value Does EEG Add to User Research? In a scientific setting, the procedure for establishing an effect or causal link requires ruling out as many variances as possible. Web sites present the polar opposite of this situation. In a scientific setting, the procedure for establishing an effect or causal link requires ruling out as many variances as possible. Web sites present the polar opposite of this situation. They are filled with hundreds, even thousands of cues. All of them are in conflict, so we can’t be entirely sure what is causing a reaction or what information a participant is interpreting. Even when providing a stimulus that is really basic, with all extraneous biases removed, and testing with an EEG repeatedly, scientists have been unable to consistently establish what will cause a specific part of the brain to show engagement or avoidance or when. Even if we could establish whether someone is engaged with a stimulus through EEG, their engagement would not be a binary yes or no. Engagement is a continuum. And it’s more likely that, if an EEG does pick up a response, it’s going to be an extreme one. So people whose reactions are slight could look as if they’re experiencing no engagement at all. In reality, given the complexity of trying to read emotions through EEG and the limitations of the technology, EEG is actually more likely to detect differences in the strength of a person’s reactions to something that he is processing rather than recognizing what the specific reaction is or whether he is engaged with it. But despite all of this, people are still actively using EEG in user research and branding studies. The device itself—like eyetracking—is designed to work in a context-free environment. A scientist would use it as a way of refuting tiny details and changes to establish a link between something we see and the way our brain reacts. Ultimately, that is not achievable within the environment in which we test. And it is unlikely that EEG could offer us any more answers beyond this discussion. 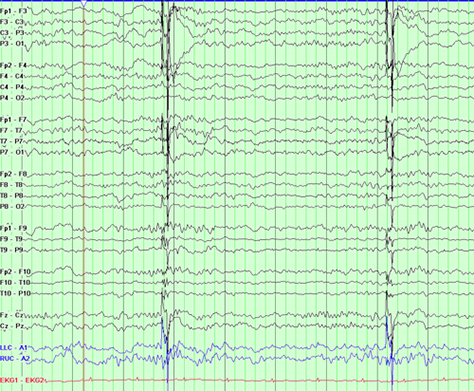 Even worse, it’s possible for the results from an EEG to be misconstrued. So, if the researcher’s definition of engagement is wrong, there are more likely to be false claims of emotional engagement. It’s important to recognize that there are fundamental limitations with the technology, and the applications of EEG are limited within user research. The very definition of what qualifies as emotional engagement is not standardized. If the scientific community can’t agree on whether the technology can truly recognize emotional engagement, is it ethical for researchers to pretend that it can? Interesting to see EEGs making an appearance in UX. I spent nearly 10 years performing and reporting on EEGs as a medical technical officer before moving into Web design and UX. Trying to use an EEG to determine emotional engagement is rather like measuring the activity of a ring main in a house to discover what someone is watching on TV. Based on my experiences, a lie detector, which uses psychogalvanic responses, would be more useful in determining user engagement. I think that the added value of any psychophysiological measurements—whether eyetracking or EEG or GSR or BVP, etc.—over insights gathered through discourse is that they can counter the many issues with emotional self-report. They introduce their own issues—distraction and interference for a start. Just try running a mobile app study with a user who has sensors attached to three fingers on one hand. But many people that I encounter in my research seem to differ greatly in their ability to truthfully assess their own emotional state.